The Travelers Aid movement began in 1851 when Bryan Mullanphy, a former mayor of St. Louis and a philanthropist, bequeathed $500,000 to the City of St. Louis to be used to assist “bona fide travelers heading west.” Those funds still endow the Travelers Aid program in St. Louis that bears his name, and makes Travelers Aid the oldest, non-sectarian social welfare movement in the country. 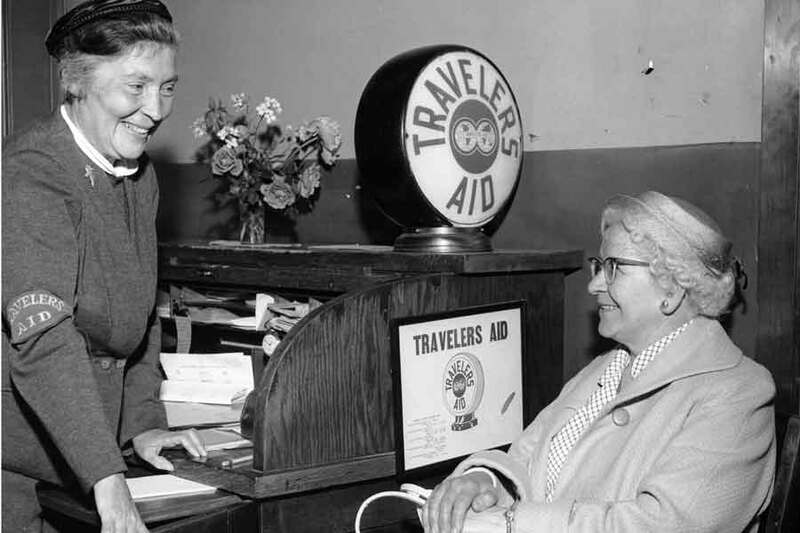 Beginning in the 1880’s, in major U.S. cities, spurred in part by organizations like the YWCA, Travelers Aid programs were formed specifically to provide protection for women and girls who traveled alone. 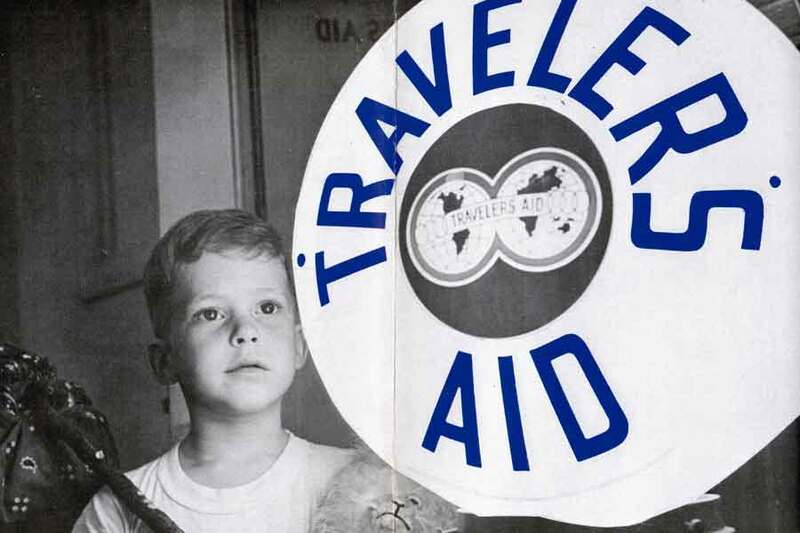 By the early 20th century, Travelers Aid programs were established in enough cities that they began sharing ideas. 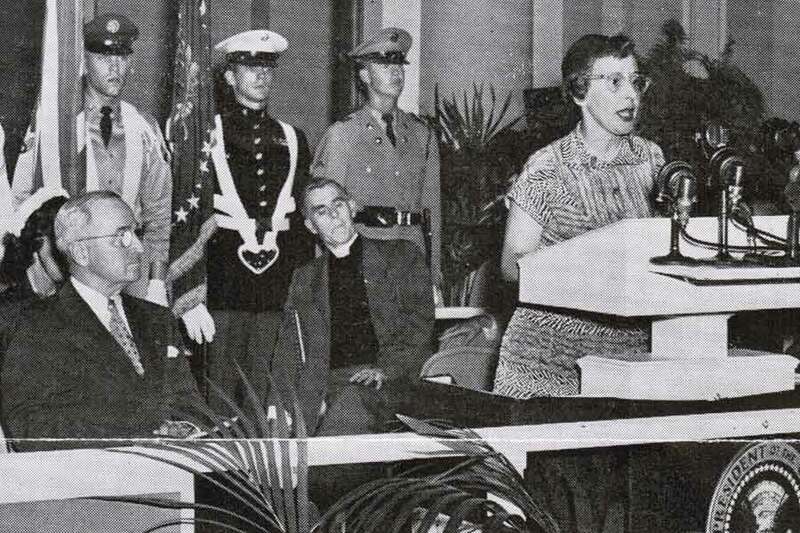 Grace Dodge, in New York City provided leadership to articulate the objectives of the “modern” Travelers Aid movement, and the formation of Travelers Aid Societies designed to serve all people regardless of gender, age, class, race or religion. Dodge’s work led to the formation of the first National Travelers Aid Society in 1917. Travelers Aid welcomed immigrants to the United States, with operations at or near many of the ports of entry. It was a service designed to ensure that newcomers were not only welcomed, but that they were pointed to safe places to stay. 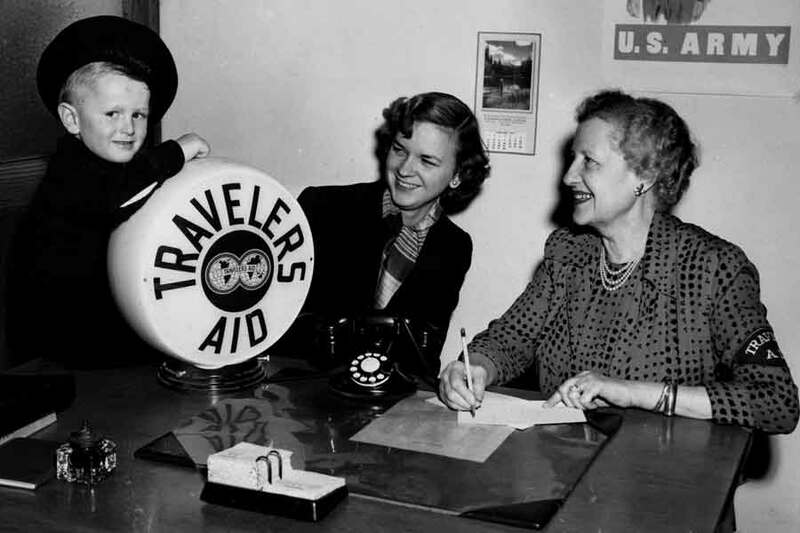 During the 1920’s and through World War II, Travelers Aid was a prominent fixture at major railroad stations, assisting travelers with information, helping unaccompanied minors as they traveled, and assisting stranded travelers. 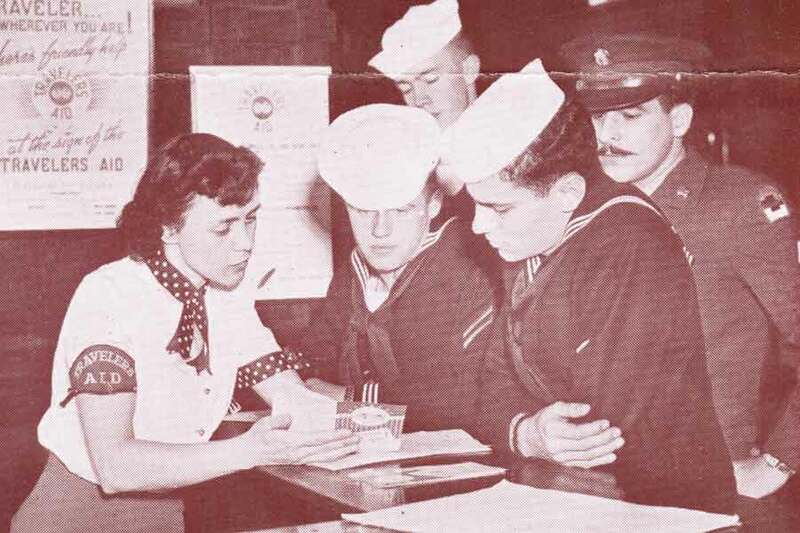 President Franklin Roosevelt’s administration called on Travelers Aid, and five other national social service organizations to form the original USO. 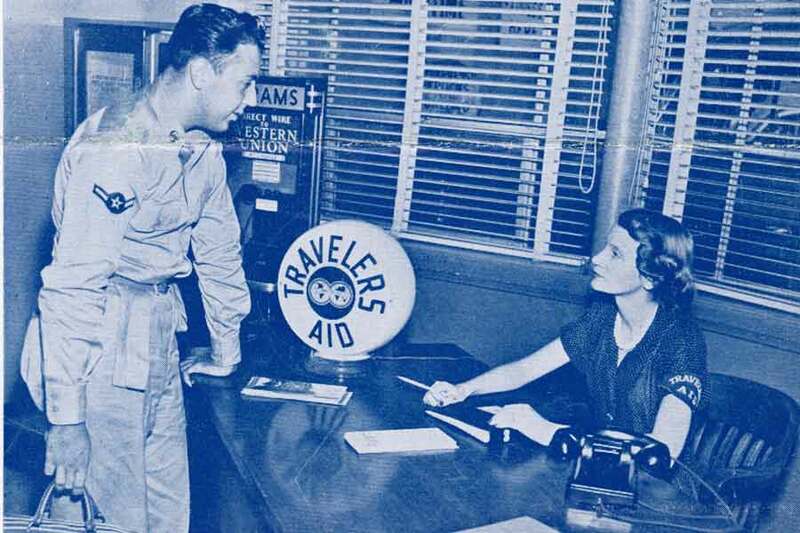 As part of the USO, Travelers Aid volunteers staffed more than 150 “troops in transit” locations. United Way was a major supporter of local Travelers Aid programs, many of which were supported 90% or more with United Way allocations. 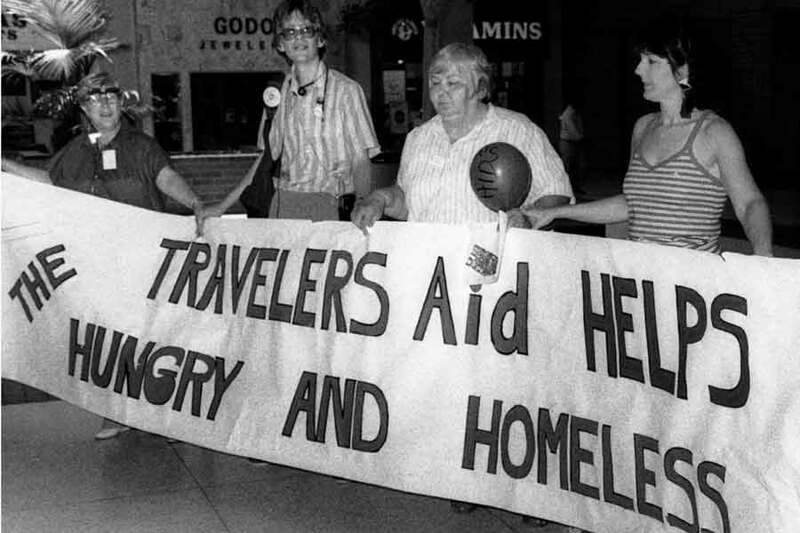 As United Way priorities changed over the years, and that support was withdrawn, the number of Travelers Aid agencies dwindled. There are now 44 Travelers Aid programs and locations in the United States, Puerto Rico, Canada and Australia. Each of these programs are locally operated, and meet the social service needs of their community, with a common thread being to help return stranded individuals safely home. The programs are diverse, and include work with local homeless populations and working poor. 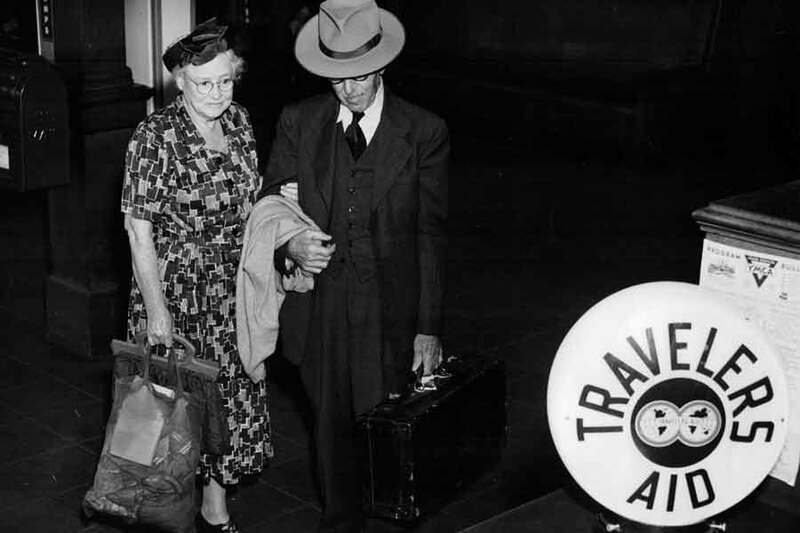 Since World War II Travelers Aid programs have developed at major U.S. airports, providing a “helping hand along the way” to travelers, with information, directions, and problem solving. Travelers Aid continues to have a presence at 4 North American train stations, and partners with Greyhound to provide discount travel for stranded persons. In 2015, at shelters, airports, train and bus stations, Travelers Aid (including more than 2,200 volunteers) assisted more than 9.1 million individuals! An organization with a 165-year history is constantly evolving to meet the contemporary challenges of travelers. Although the nature of travel has changed, and many have communication tools and resources at their disposal that weren’t available just a few years ago (e.g., smartphones and credit cards), we are a more mobile society than ever before, and travelers are still in need of Travelers Aid.